See exclusive art from Shuri's solo series! Shuri made a big impression in Black Panther's comics even before she was a hit onscreen in Marvel Studios' "Black Panther." And now, the Wakandan techno-genius is getting her own series! SHURI, which will make its debut this October, will feature a team worthy of royalty: Nnedi Okorafor, Ph.D., is a Hugo Award-winning Afrofuturist author who previous wrote for BLACK PANTHER: LONG LIVE THE KING and WAKANDA FOREVER. On art is Leonardo Romero, an Eisner Award-winning artist whose work can currently been seen in IMMORTAL HULK with a cover by artist Sam Spratt. 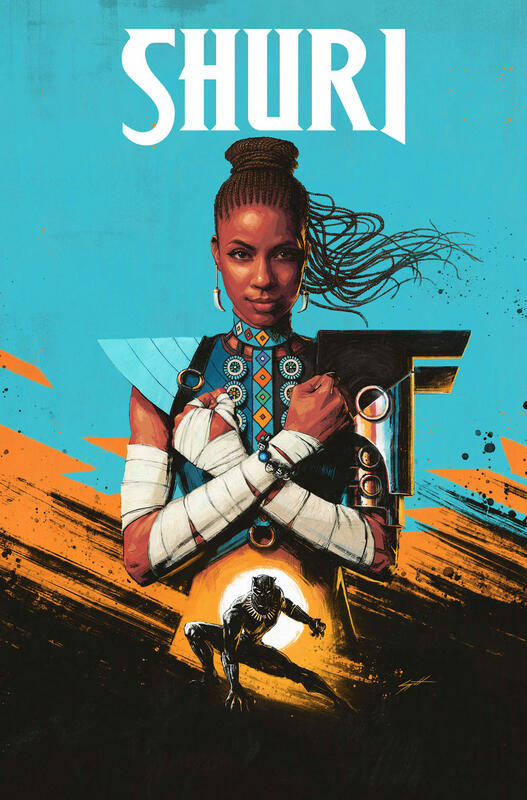 Together, Okorafor, Romero and Spratt will take Shuri on a journey of her very own while the Black Panther has disappeared in space. SHURI will bring a domestic conflict to the princess's table -- while she is the most at home in her lab, working to keep her country at the forefront of science and technology, Wakanda is missing its leader. Without T'Challa around, Shuri will have to decide if she will forego her own passions in order to stand up for her nation. More details about SHURI will be revealed at San Diego Comic-Con at Marvel's Next Big Thing panel, so stay tuned to Marvel.com! Below, get an exclusive look at character sketches from SHURI.